Day to day, Eliot also works closely with A-Ha songwriter and guitarist Paul Waaktaar Savoy on all of his current projects, which include several new artists on major labels. 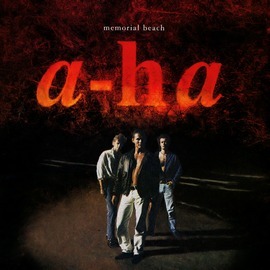 2013 marks the 20th anniversary of the release of Memorial Beach, regarded by many fans to be a-ha’s perhaps best album. Recorded with producer David Z at Paisley Park near Minneapolis, the album was a continuation of the organic sound on East Of The Sun, but more guitar-based and largely recorded live. I recently re-read an interview with Paul from Norwegian music paper Puls in June 1993, which I thought I’d share with my readers by translating it. I don’t think it has been posted online before. In the interview, Paul talks about the recording sessions at Paisley Park, the challenging mixing process in New York and his songwriting in general. “Memorial Beach is full of high-tech, but the recording itself went by very quickly. Never more than two takes, David Z wouldn’t allow more than that. So we had to rehearse a lot in advance, and I think this had a very positive impact on the final result. ‘Let’s knock his socks off!’, Paul says in the Puls interview. Magne has agreed to compose the original score as well as supervise the recordings of other music for the upcoming Norwegian movie Beatles, production company Storm Rosenberg announced in a press release today. “My own musical journey really started with listening to The Beatles while growing up, and it is such a thrill to be allowed to work with this iconic material and to be a part of presenting this great story on film”, Magne says. 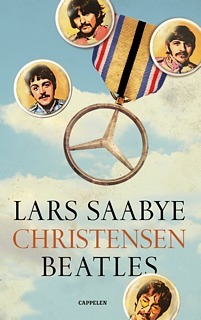 The movie is based on author Lars Saabye Christensen best-selling novel Beatles from 1984, a coming-of-age story about four boys growing up in Oslo in the 1960s and 70s. The project has already garnered international attention, by securing the rights to use original music by The Beatles in the movie. To help achieve this, Magne wrote a letter to Paul McCartney saying how The Beatles had influenced a-ha. “If we hadn’t grown up with and modeled ourselves after The Beatles, we would never have had the courage to set our goals so high and try our luck abroad. That’s what I wrote in the letter”, Magne tells VG. Magne is soon going to Abbey Road studios in London to work on the score, where he’ll be using The Beatles’ original microphones and recording equipment. 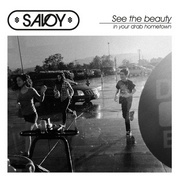 “I’ll try to be true to the 60s era and the sound. I grew up with The Beatles as my big heroes, so this is a welcome trip back to my own childhood. I have thought a lot about the fact that original Beatles recordings are also included in the movie. That’s incredibly challenging on one level, but also a dream come true for a big fan like myself”, Magne tells VG. The movie will be directed by Espen Sandberg og Joachim Rønning, who have previously directed Max Manus and Kon Tiki – which was nominated for an Academy Award earlier this year. Beatles is currently scheduled to start shooting in June and premiere in February 2014. Magne, together with Kjetil Bjerkestrand, has previously composed the score for Marius Holst’s Ti Kniver i Hjertet (1994) and Øyenstikker (2001), Karin Julsrud’s 1732 Høtten (1998) and the mini-series Hotel Oslo (1997). 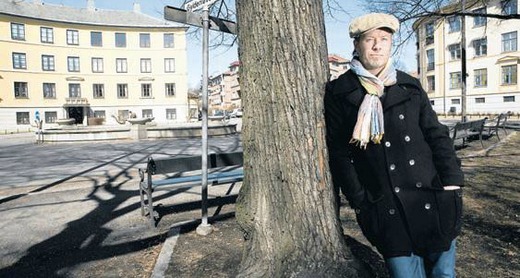 He also scored the documentary series På jakt etter paradiset (2008), together with Nils Petter Molvær. Ti Kniver i Hjertet was also based on a novel by Lars Saabye Christensen, called Gutten som ville være en av gutta. 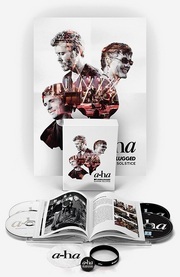 In 1991, Saabye Christensen collaborated with a-ha on the NRK TV special Østenfor Sol, Vestenfor Måne, where the band played live at an NRK studio, while the author read his own poems between the songs. This new series ‘Norwegian Wood’ uses music as its main reference point, but this time it is the iconic pop music of the Beatles, music which Furuholmen grew up listening to, and which directly inspired him to leave his native country to become an internationally renowned musician at a young age. Borrowing titles of songs and lyrics, the artist creates new works by transforming and changing these well-known word combinations into a new visual language. ‘I use letters and words as the architecture of my works – both for composition and conceptually, as a kind of emotional architecture.’ (Magne F, March 2013). These vibrant, new works mark a return to music as the main source of inspiration, and also to the monumental woodcuts that launched the artist’s career in 1995. Read the whole press release and see a selection of the works on paulstolper.com. The exhibition will be open from 3 May to 1 June. A private view, presumably with Magne present, is held on 2 May.